The messaging behind my work as a knitwear designer is undergoing a shift after a catalyst moment with my audience the past few weeks. Despite it being obvious the direction my community wants me to go, I faced a bit of resistance to it. In this episode, I share what was holding me back and the 5 lessons I learned that helped me overcome my own roadblocks. This episode was sponsored by Skillshare. As a listener of the show, you can get a two-month free trial to Skillshare Premium. Click the here below to view my top recommended courses for knitwear designers who are starting out and get your exclusive sign-up code at www.arohaknits.com/skillshare. Want to start designing your own patterns but get overwhelmed by the entire process? Don't know where to start? That's why I created this FREE resource for you. 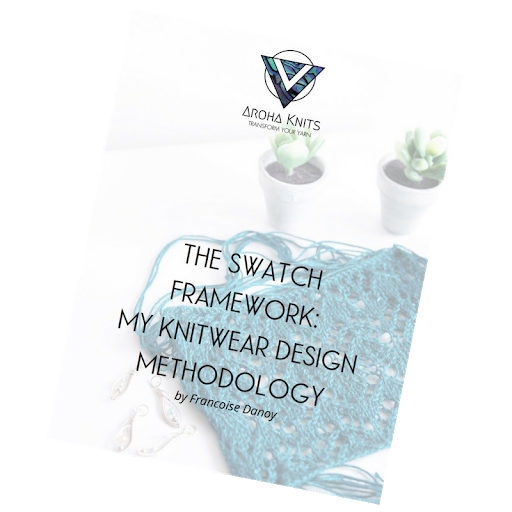 In it, I outline the SWATCH Framework, which is my knitwear design methodology. I follow this system over and over whenever I'm working on a new design: it helps me stay on track, and guides me through the process in a logical and systematic manner. Download the FREE guide today and start getting clarity on how you can start transforming yarn into designs of your own creation!